5. Gaining Energy, Inspiration and Drive- Motivation You Can Use! 13. Time Management: Work Smarter, Not Harder! 27. The Luck Factor: How to Become Lucky! 48. Health and Wellness Series- The Psychology of Weight Loss- Health, Hope, and How to Change! In dealing with people, it is the "smooth operator" that gets things done and works well with others. This session teaches and positively empowers individuals with essential people reading skills. Participants will learn to maintain strong cooperative and respectful working relationships. They will learn skills to modify their communications with others to develop "likability". This is a very inspirational, fun session, studded with entertaining real life experiences to illustrate the concepts. It is based on the four personality types and detailed information on the characteristic traits and strengths of each style will be provided. Bonus! All participants will take a short survey to determine their individual personality style. This workshop focuses on practical daily application skills in working with and managing different personality styles. What are the specific inherent advantages and disadvantages of each style, what types of tasks are well suited or not well suited to each style, what temperament do they have under stress, how to delegate, praise, discipline and oversee each style. How to hire and promote the right personality type for the job. Workshop provides immediate application tools. This workshop is also a goldmine for anyone in a supervisory management or team building role! Almost every day we see some locally respected or nationally famous person fall from grace and become disgraced by moral failure. Someone everybody thought was a "good person" is actually morally bankrupt. How do you know if you are being led down an unethical path? What are the warning signs to look out for? How do you cope with power over others? What is your personal code of honor? 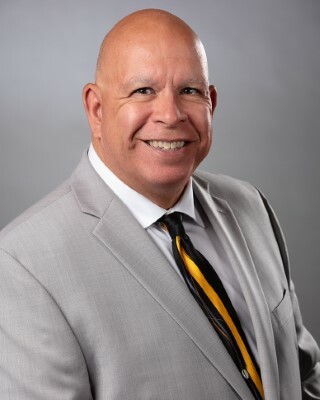 This workshop uses the amazing psychological interaction and true case study of CFO Arron Beam and CEO Richard Scrucci of Health South as its centerpiece. Small group interaction and discussion are part of this very important topic. Everyone struggles with making the right personnel decisions. There are tools available that can assist you in making the right choice. In this workshop participants will take a proprietary natural talent and genetic skills test and a personality style test. They will then be given information on test interpretation and administration. They will also do a small group activity on testing a person's work ethic. These three areas are critical in any personnel decisions and will provide excellent data on a person's proper job fit. Get hard data with short psychological tests to help you make better personnel decisions! Indecision, lack of focus, and low energy all lead to decreased job performance. This session teaches self-motivation strategies through "balanced life" goal setting. Participants will learn how to: life plan, set job goals, personal goals, and use the wish listing and vision board method. They will also learn a proven eight-step formula for rapid goal achievement. Participants will generate a positive "life plan" for their future in the following critical areas: job, health, relationships, hobbies, vacation, material, family, and FUN! They will learn practical, realistic, life planning, and achievement skills that can be used at work and at home. BONUS: all participants will create a personal goal vision board to take with them and display! This session focuses on specific techniques to help you stay physically healthy and mentally balanced by controlling your daily thoughts from the time you get up in the morning to the time you go to bed at night. Medical research studies in the field of psychoneuroimmunology (PNI) have clearly demonstrated that your mental attitude has a direct and immediate impact on your energy level, immune system and productivity. Some of this striking research from the Rochester Institute of Technology will be presented along with practical daily techniques. You will learn the dangers of: mental chatter, fake news, keeping up with the Joneses syndrome, how to use thought substitution, the power of "I Am," affirmations, goal setting and vision boards. The Minnesota Department of Employment and Economic Development (DEED) conducts worker surveys of the state workforce and consistently finds at the top of the training needs list is "work ethic". Other nationwide surveys have been conducted with the same exact results. Does your organization struggle with: poor attendance, negative attitudes, entitlement mentality, time theft, poor meeting attendance, dress code issues, e-mail etiquette, internet abuse, texting, basic organizational respect, social media problems, etc.? This session covers over twenty common workplace abuses and unethical behaviors and discusses how to make improvements. This session is especially helpful for: new hires, supervisors, leads, students, managers, or as an all employee training retreat. 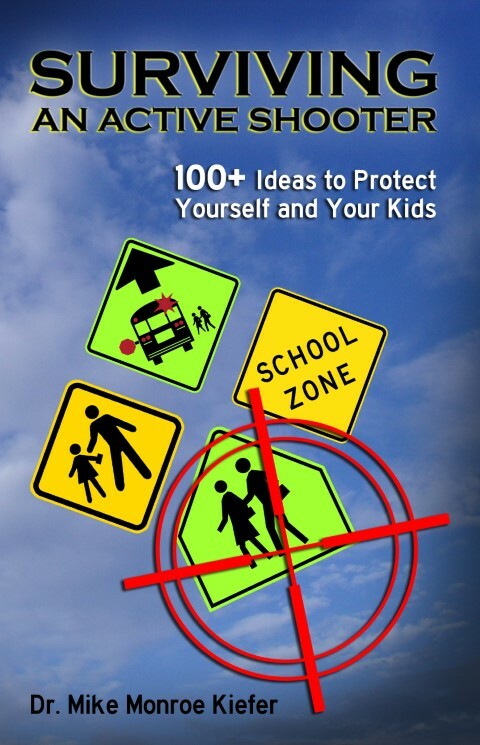 Numerous case studies and eye opening stories illustrate the principles presented. Help yourself and your organization become ethically healthy! 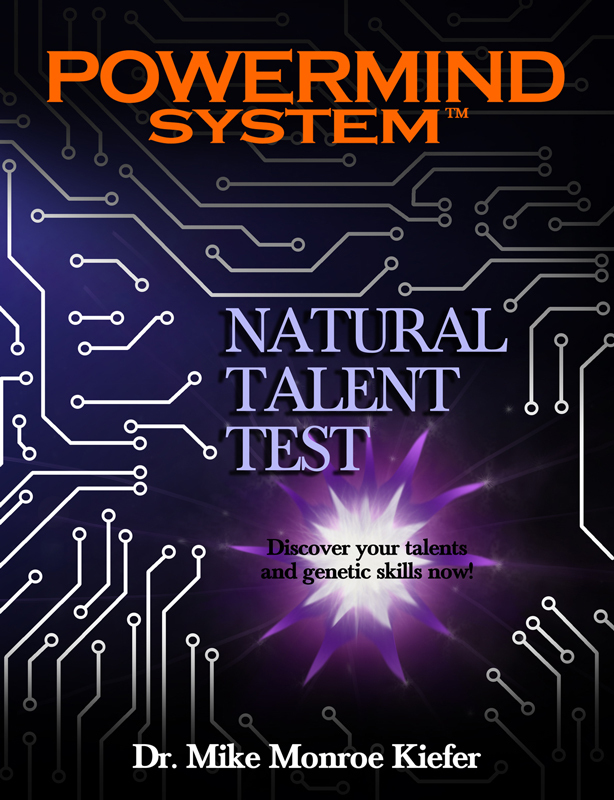 Do you know what your natural talents and genetic skills are? What about your coworkers, project team, or manager? Most people don't! In this session, participants will take a proprietary 109 question natural talent and genetic skills test to uncover: hidden abilities, reinforce confidence, and reveal genetically inherited skills. Natural talents are both mental and physical. In this session both types are discussed. Analysis will be done to determine job and task matching within a team environment. The goal is always to match a person's talent to tasks, based on natural ability. This is a very unique program using a proprietary natural talent test and will help any team improve overall performance. When is the last time you had fun at work? Can't remember? Then you need this session! Right brain/left brain research shows that fun and humor increases productivity and creativity. This session provides over a dozen ideas for low-cost events and on-site activities. A long term systems approach to introducing fun and humor in the workplace will be discussed. As part of the session, participants will experience a number of interactive team games and competitions to illustrate the concepts. If you are looking to energize and boost the morale of your workplace, this session has what you need. Real world event examples from: IT, corporate, government, and non-profits will be shared. How do you "budget your daily time"? Most people waste a lot of time every day and work inefficiently. In this workshop participants will take a personal daily time management survey to determine where they manage their time well and where they can improve. They will also learn the 10 major time wasters and how to avoid them. Participants will learn mental techniques to combat procrastination, declutter work spaces using 5s Six Sigma organizing principles and how to develop hourly/daily and weekly micro-time budgets. Most people struggle with important decisions and then spend considerable time second guessing themselves, or worse yet, reversing their decisions. This leads to high stress and a loss of respect in the work group. In this workshop participants will work through a series of small group critical thinking and decision making activities using the "Military Style, ranked grid system" of decision making. They will also learn the power of team consensus decision making with a class wilderness survival small group survey. An introduction to project management planning tools and techniques anyone can immediately apply for increased efficiency. Everyone working on projects can save time, money, and effort with this session. Strategies for: developing accurate plans, milestone charts, work breakdown structures (WBS), tracking tables, quality control tests, managing scope creep and specific project review questions are all covered. This is crash course project management from start to finish; presented in easy to understand language with real case studies. This session has excellent application for 1 month to 1 year projects. It is a tools and techniques based session with immediate application back on the job and at home. Everyone with a job is being asked to do more with less. This leads to high stress, burnout, and careless errors. This session teaches the techniques required to work smarter, not harder. You will learn how to combat the ten major time wasters, save time on the phone, set realistic goals, develop a short term life plan, organize your workspace with Six Sigma 5s organizing principles, prioritize your work, combat procrastination, use a ten point decision making checklist, save time in meetings, generate creative ideas with the mind mapping tool, and gain a sense of time and life control. Bonus! Each participant will complete a daily personal time management survey including work and home activities to see where they manage their time well and where they can improve. We attend school for years and are never really taught how to recall and remember what we learn. This session provides tips, tricks, and simple techniques anyone can master. Discover how to adapt material to your own personal learning style and genetic memory type through a short memory assessment. Memorize peoples' names and your notes in half the time with mind mapping. Learn what common foods enhance or depress memory recall ability. Discover the importance and styles of music to use for enhanced memorization. This session has been presented at corporations and to high school/college students with remarkable results! Don't get burned hiring the wrong person for the job! Top companies are now utilizing rigorous psychological testing and interviewing methods to weed out: lack of basic skills, entitlement attitudes, poor work ethic, time theft mentality, anger instability, and more. No matter what level job you are hiring for, you need to screen and interview effectively. This session provides and demonstrates a proprietary natural talent and genetic skills test as well as how to develop general work ethic tests to properly match people to jobs. This is a real life saver for those involved with hiring staff. Take the guesswork out of hiring and promoting people. People today are rapidly being moved from task-oriented positions to supervisory positions with little or no training. This session provides basic supervisory "boot camp" training to build confidence by providing core leadership skills to become a successful modern day supervisor or lead. Participants will learn: leadership concepts, building respect, credibility and trust, motivating others, people reading, and delegation skills. They will also learn: coaching, discipline, meeting management, and the importance of being a good role model. This session gives solid content for both new and experienced supervisors. Most leaders try to make their single dominant leadership style fit all situations. This does not work and leads to disrespect from their team! In this session, through a personal leadership style assessment, participants will learn which of the six leadership styles they rely on most. They will also learn which situations are most appropriate for each of the six common leadership styles. A second assessment will determine if their most used leadership styles match their current job. This session provides essential personal insight for anyone in a leadership or supervisory role to enhance their respect and skill. Class interaction and specific examples are given to show participants exactly when each style is most appropriately applied. Is your workplace messy and disorganized? Are people scrambling around searching for things? This session explains how to apply 5s organizing principles of a visual workspace in a wide variety of work settings to save time and improve efficiency. Do you want to visually organize or 5s: a closet, work station, cell, CNC machine, office, fab shop, factory, warehouse, or kitchen? Then this session is for you! The name 5s stands for the following: sort, set in order, shine, standardize, and sustain. It is a concept borrowed from Toyota quality manufacturing, is a key principle in six sigma and has dozens of practical applications inside and outside of the workplace. Everyone can benefit from 5s organizing training. Interesting class activities demonstrate how 5s can really save time, energy, and money! Inefficient processes and important details falling through the cracks lead to wasted time, rework, scrap, and costly quality errors! Healthcare, administration, government agencies, manufacturing, non-profits, schools, law enforcement, and corporations are all searching for ways to streamline their processes. By analyzing processes from start to finish, wasted time and effort are easily exposed. This session is an introduction to process/workflow mapping. Participants will analyze a process or procedure in class and construct a "current state" map of how the process is currently done. They will then compare each step in the process to an efficiency checklist to increase speed, eliminate waste, save money, reduce risk, improve quality, decide faster, etc. Finally, a "future state" map of the process will be discussed incorporating the improvements. Most organizations do not have their processes well documented anywhere, making learning what is actually going on difficult and increasing the risk of catastrophic mistakes. This session is extremely beneficial and has uncovered dramatic flaws in many organizational processes. Numerous unique case studies will be discussed during this session. Most customer service programs fail because the employees don't understand how to deliver excellent service. This session focuses on service through empowered, knowledgeable employees. In most cases when customer service complaints escalate, they result in big losses and serious image problems for the organization. This can all be avoided with proper training. This session covers: individual responsibility, the "bucket theorem", organizational image, exact factors that contribute to poor and excellent service, a formula for dealing with difficult customers, the CPR technique, going the extra mile, speed of service, creating surprise and delight in the customer's mind. Nothing can undermine team productivity like unresolved, festering conflict! This session provides strategies for resolving individual and group conflict. Through several interactive case studies and thoughtful class participation, participants will understand how to get to the root cause of conflict and how to resolve it quickly. Several small group exercises dealing with: big ego, passive aggressive behavior, sarcasm, non-participation, isolationism, and fear of change, highlight this interactive session. Are your people scrambling around from one useless meeting to another? What about you? Did you know most meeting time is wasted? If you are reading this, you probably did! Unproductive meetings with no agenda, no decisions, little accomplishment, blow-ups, and sidetracking are all fairly common. This can be avoided with some basic meeting management training. Learn how to: make timed agendas, gain full participation, stay on track, handle emotions, and make good team decisions. Are your trainers just reading power point slides to people and putting them to sleep? In our society today, fast transfer of knowledge is essential. Being able to organize information in a logical, teachable fashion is critical. People learn in different ways. A trainer must be receptive to this and make the training active, fun, and engaging in order for it to stick and be remembered. If methods are taught, they need to be demonstrated or illustrated. The trainer needs to share their personal experiences to make an emotional connection with their audience. Participants of this session will get ideas on the use of: physical models, storytelling, engagement methods, YouTube videos, pictures, graphs, charts, etc. They will learn how to organize and enhance existing training materials with their personality and experiences. Most sales professionals are trained in a one-dimensional "sales pitch" geared for one target audience. This leaves a one-dimensional sales person at a huge disadvantage in our economy! This session teaches how to rapidly "people read" prospects, and quickly customize the sales approach. It teaches how to alter presentation style and customize according to the four most common personality types. During this session, participants will create four different sales campaigns using their organizations materials to illustrate the concepts presented. This session gives an awesome competitive advantage to any sales professional selling products or services. It addresses the "psychology of selling" and the human emotions that drive buying decisions. This session targets key result areas where many sales professionals stumble. Areas covered include: hard copy literature, video demonstrations, websites, dress and grooming, presentations, cold calling, references, time management, using YouTube, the power of enthusiasm, goal setting, self-motivation, testimonials, and practice! This session gives excellent training for all sales professionals! Even in our poor economic climate, some sales professionals are still in high demand. They have mastered the skills necessary to continue to sell their product or service. These skills include knowing where to network, describing your product or service in two minutes, quickly qualifying leads, and most important... closing the sale! Many closing techniques will be covered along with examples and demonstrations. How to adapt closes to your specific product or service will also be explained. Did you ever notice how some people seem so lucky? They are so positive, energetic, and cheery. Things just "go their way." Did you know there is a scientific principle operating behind "luck"? Hard to believe? It is called The Law of Attraction. This law states, "Whatever goal you hold in your conscious mind on a continuous basis, combined with desire will be attracted to you". Sounds simple enough, but how exactly do we do that? What results can we really expect? And when? This session explains and shows you how to control luck for your benefit. Participants will learn the basics of how their conscious, subconscious, and superconcious minds work. Some historical examples of people that used the luck factor include: Andrew Carnegie, Dr. Alexander Graham Bell, Thomas Edison, Henry Ford, Napoleon Hill, and Earl Nightingale. Also included will be some real life case studies of ordinary people living in MN and WI that have achieved amazing life-changing results with� The Luck Factor! This session covers many methods of audience engagement for training and presentations. Many presenters spend hours making hundreds of "text heavy" power points, then they systematically read these to their audience. They then wonder why everyone is falling asleep. A presenter can engage their audience with many clever tools and activities to keep people paying attention and learning. Experience and discover some of these tools with this interactive session. Also learn how to make an emotional connection to your audience with personal storytelling. Almost everyone now is using YouTube videos to advertise, teach, sell, and market products or services. This session covers the basics from low cost equipment, editing programs, sets, music, background, lighting as well as messaging and scripting. Many examples of what to do and what not to do will be covered. Learn the basics of skillful YouTube marketing and advertising. Make your own infomercials, easy, fun, and profitable! 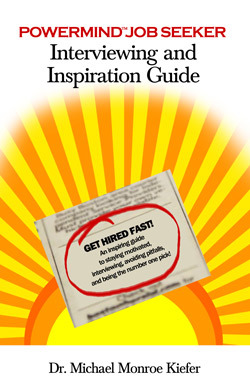 Get hired fast and learn how to become the number one pick in the interview process. Learn the purpose of a resume vs. an interview, common mistakes in interviews, preparation, what to bring with you, how to people read your interviewer, why some people get hired over others, how to answer tough questions, how to do proper follow-up, and more! Hundreds of people have been helped and hired with the information in this session! 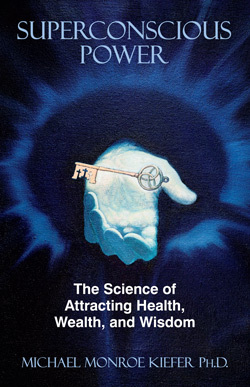 Dr. Kiefer has produced an "Inspiration and Interviewing Guide" as an instant wireless download MP3 audiobook of this session available from Amazon.com and in our online book store. This session covers the psychology of coaching human behavior and how to change it. 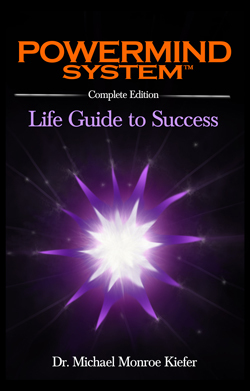 Topics include conscious, subconscious and superconscious mind function, how poor belief systems are built up in the subconscious core, how to reprogram the mind so positive thoughts and actions become automatic. A number of interesting case studies will be examined in this session along with people Dr. Kiefer has personally worked with. Many people in the workplace feel a lack of purpose, undervalued, underutilized, and have no real job goals. This first leads to depression and then poor work ethic, negative behaviors and finally, a general, "tuning out". Supervisors and managers are then left stressing out on what to do with them! This workforce issue and negative cycle of employee behavior is fairly common and can be corrected with knowledge tools and an understanding of the root causes of this negative cycle. This session provides case study exercises to help managers modify employee behavior from unmotivated to motivated. It also provides a natural talent and genetic skills test enabling them to manage and engage their staff more effectively through talent based team building. Does your team struggle with internal issues like mistrust, ego battles, insecurity, and a general irritation or dislike for each other? Many teams experience these problems at one time or another. This session is based on the book: Leadership and Self-Deception- Getting Out of the Box. It details how we start to view people as objects and irritants rather that as human beings. It is an in depth view of how we treat others by our own perceptions/deceptions of reality. Interesting exercises and opportunity for personal sharing by participants highlight this session. Excellent material for team bonding! What do you remember from the coaches or training sessions that you have attended? The stories! This session teaches participants how to craft their life experiences into memorable personal stories and lessons. Participants will have opportunities to craft anecdotes and life experiences into targeted training illustrations, present these to the group, and get feedback on effectiveness. This session looks at the roles and responsibilities of a trainer, student, and the dynamic between the two. Participants will all take an adult learning styles assessment and discuss the results of how that impacts their teaching style. Tips and pointers on delivering training with words, seminars, pictures, YouTube videos, and hands-on activities will be provided. Several small group discussions and in-class activities will illustrate the points. Do you ever find yourself confused on how to react to difficult people at work? This session will help you telegraph and modify their reactions towards you. You can have a much greater influence over the responses you get from others than you think! Most people lack any type of formal training in street-smart office drama communication skills. This session provides specifics on; people reading, customizing e-mails, giving positive and negative feedback to your manager, effectively presenting your work, understanding open and closed personalities in conversations, and assigning tasks based on natural personality fit. Leaders are often faced with tough ethical questions, in a variety of settings. What should a leader do? Is a small white lie to a staff member or manager acceptable or not? Is there a difference between stealing company property and coming in late? How does personal ethics impact the decision making process and level of trust and respect people have for a leader? This session contains a number of interesting real life case studies to serve as ethical lessons for leaders. Small group discussions on how to handle the cases as well as what to do and what not to advice! Ethics is becoming an increasingly important topic in today's workplace. What should a leader do when someone says they hate their job or they just don't feel like working today? Leaders need to understand the psychology of motivation to help their team members. You can't just fire everybody on your team and replace them! Smart leaders have become "therapists" for their team, helping each member personally to overcome motivational challenges, increase trust, and improve productivity! This session covers core philosophy along with tools that can be used every day! A motivation survey is also included as part of this session. What motivates one person, may have the opposite effect on another. Learn to avoid catastrophic mistakes. This workshop is highlighted by a team diagnostic assessment to determine if your team suffers from 1. Absence of trust 2. Fear of conflict 3. Lack of commitment 4. Avoidance of accountability 5. Inattention to results. Most teams have one or more of these common problems. Participants then learn methods to cure each dysfunction. This session allows people to openly share their thoughts and feelings to help build a stronger team. The workplace today is an ever changing environment. Everyone struggles with change. This session allows participants to gain new insights into change allowing them to view change in a more positive light. It focuses on our internal view of change and contains interesting group activities. This allows participants to discuss and interact to solve case study examples. This workshop is designed for a team that is already functioning at a high level and wants to reach their peak. It involves in-depth training on how each individual on the team can condition their subconscious mind to be totally focused on team goals and their personal contribution to the team. Participants will learn how to unify and program their conscious, subconscious, and superconscious minds, then consolidate to enhance the group's master mind power. This type of training is based on Napoleon Hill's historical research with creating master mind groups. Historical references will be discussed along with modern applications. This is an expressive health and wellness session where participants will hear a short lecture on the different roles we play as: mothers, fathers, managers, sons, daughters, team members, coaches, etc. They will then create a series of colored faces or "masks" on poster paper to artistically express their feelings about each role they play in life. They will present their mask set to the team towards the end of the session. Everyone will take their mask set poster with them for display at home or at work. This health and wellness session features having all participants working with colored, non-drying, modeling clay to build a personal three dimensional clay "totem". Participants will hear a short lecture on teams and stress reduction. They will then be given colored clay to work with and build their personal totem. This session is based on the concept of combining expressive art, tactile stimulation, and emotional meaning into a stress reducing or team role art piece. Towards the end of the session participants will present their clay totems to the team and then take them for display on their desk back at work. This personality assessment is by far the most popular in use today! Participants will do the DISC assessment online a week or two prior to the session. During the session each participant's results will be discussed including strengths of each personality style. They will then share their own interpretation of their DISC profile with the group. Each year employers have costly personal injury accidents or fatalities. This can be greatly reduced by training each employee in the psychological concepts of behavior based safety. This is a series of several sessions including the topics of: safety awareness, looking out for each other, being alert to unsafe actions, safeguarding equipment, proper attitudes, communication skills, and more. Enhance your current boring safety program with this interactive series that will actively engage everyone. Group activities and actual organizational analysis highlight this series. This presentation focuses on how negative post trauma responses can be alleviated by subconscious associative core reconditioning. It is based on historical research on animals and young children by Ivan Pavlov in: associative conditioning, triggers, extinction, and conditioned reflexes. The therapy does not involve prescription drug use or hypnotism. It may be used to decrease the intensity of subconscious terror attacks, both physical and emotional that a person experiences after a traumatic event. 48. Health and Wellness Series- The Psychology of Weight Loss- Health, Hope and How to Change! 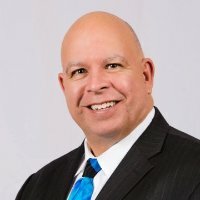 Dr. Kiefer walks you through his personal lifetime struggle with obesity from being bullied as a "fat kid" in school, to his amazing mental turning point, to middle age success. Learn how to recondition your mind's view of food. Kiefer debunks popular norms on social eating, comfort foods, depression eating, celebration eating and peer pressure eating. Discover the trap of junk food childhood conditioning, teenage conditioning, college conditioning and how to reverse it. Learn why most dieting and exercise programs lead to a cycle of continuous failure. By changing your view of food, you will never eat the same again! If you have a sincere desire to lose weight, lower your blood pressure and cholesterol, then this is how to do it. No weight loss system, magic exercise machine or intense gym program will work, unless you change your mind-set. Bonus: Kiefer reveals the genetics of thyroid function diseases that impact body weight. There are many little known factors involved with weight gain and loss. Kiefer reveals some of these: the highly addictive effects of partially hydrogenated vegetable oils, especially when combined with salt or sugar, childhood "clean plate" eating, daily sugar and water intake, poisons in processed boxed food, candy, donuts and carbohydrates. Learn about the 10 day shock process to switch your body's metabolism from gain or maintain to loss. Learn the reason why rapid weight loss is not bad for you, benefits of sweat exercising 30 minutes a day or less, and how to progress from treadmill to elliptical to the stunning beneficial health and metabolism effects of a stair mill and Jacob's Ladder machines! In class activities include creating a personal vision board with weight loss goals and how to start a food and exercise journal. © 2019 POWERMIND TRAINING INC.